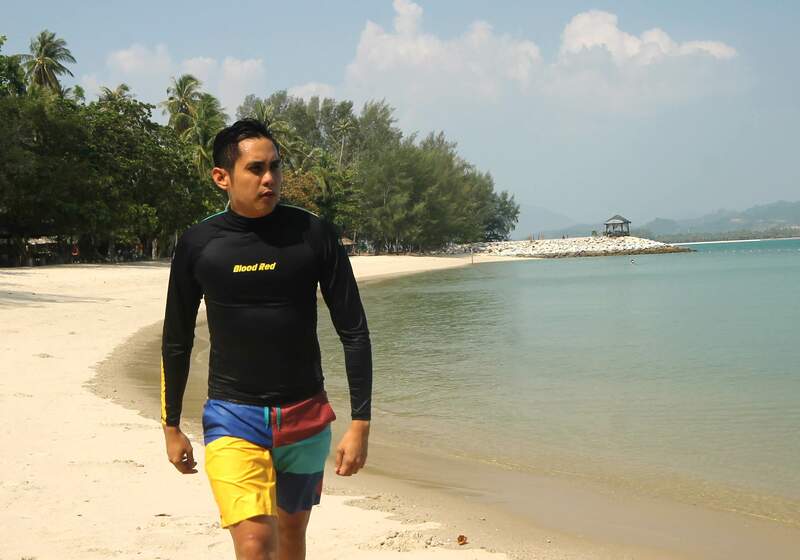 Blood Red’s Magma V2 rashguard and Sunset board shorts kept me protected from the elements while vacationing in Langkawi Island, Malaysia. At the peak of the hottest summer season in the Philippines, Cebu-based sailing-inspired clothing brand Blood Red launches their 2016 Collection, which improves on their core product lines like performance swimwear and applies their design principles on newer categories like casual wear, dry bags and dry pouches. For the past two months, I had the opportunity to preview and road-test products from their latest collection to see how they’d weather during my travels around the Philippines and overseas. 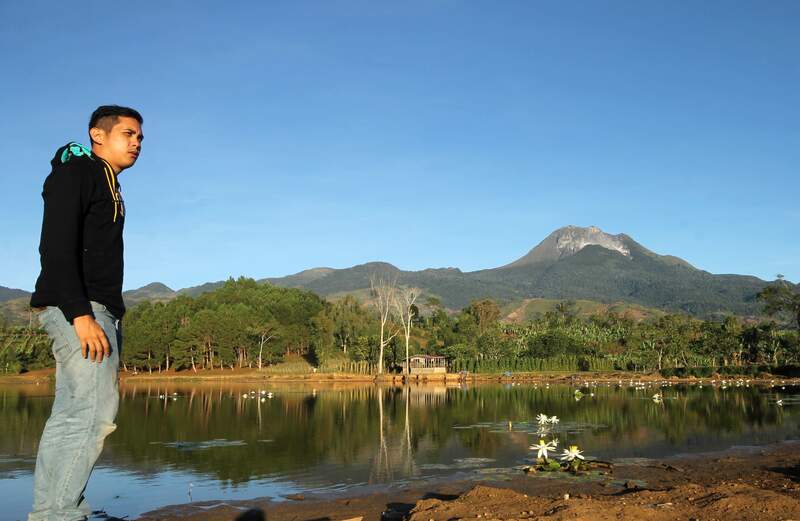 I’ve worn their clothes while river trekking, scuba diving, snorkeling and jet-skiing, among other activities. Their main product line of performance water sports wear such as rash guards, board shorts and swim shorts continue the innovation and attention-to-detail that the Blood Red brand is known for. The Magma V2 rash guard (SRP: PHP 2,495) has all the features I loved from the older model, especially the rubberized gripper tape and hemline loop, small details that help a great deal in keeping the rash guard in place even the most strenuous water activities. The newer version improves on the old design with UPF50+ color fast fabric and better engineering. I like the yellow and green stripe design along the shoulders and down the arms, but I still prefer the orange color scheme of the older model though. The men’s board shorts line, on the other hand, includes standard board shorts – like Sunset and Orient Sun (SRP: PHP 2,199) – as well as newer fashionable hybrid designs (which I’ve yet to try) that conveniently double as casual/resort wear. Both their rash guards and board shorts performed really well while engaging in water-based activities. For the Orient Sun board shorts, however, I’m not a fan of the metal rivets on the back pockets. 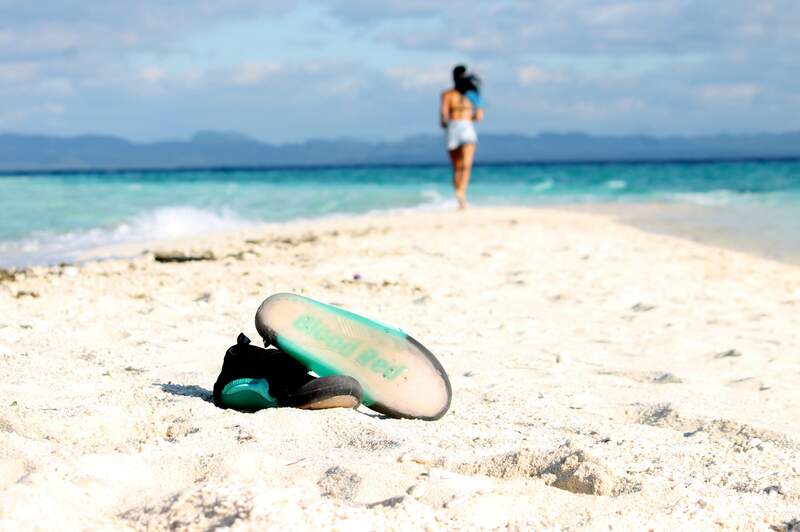 Blood Red introduces a new line of aqua shoes which accompanied me on my trip to Kalanggaman Island in Leyte, Philippines. One of their newest additions are their aqua shoes, which comes in two colors – red and turquoise – in the current collection. I like the standout design of their mesh-paneled shoes with Blood Red branding showing through the translucent sole. All pairs conveniently come with a white draw string bag, making it. At price point of only PHP 980, they’re an affordable buy. On the downside, I think the Velcro closure must be redesigned to be more secure, as I often found myself reattaching it when swimming or wading across water. And, with size 41.5 feet, I also wish they came in half sizes for a snugger and more comfortable fit! Blood Red’s Cocoon hoodie kept me warm in highlands and on long bus rides with its zip-up face extension. Besides performance watersports wear, Blood Red Clothing also carries sailing-inspired casual wear like caps, hoodies and t-shirts. Their black Cocoon men’s hoodie (SRP: PHP 2,495) was one of my favorite picks from the collection. Its prominent feature is the face extension which allows the wearer to zip-up the hoodie partially up the face, a great way to fend off chilly wind or frigid air-conditioning on long bus rides! Lastly, the new collection carries several new models of dry bags, as well as dry pouches for your mobile phones and other gadgets. The brand also carries water sports and casual wear for women. Shop for Blood Red products at their online store or ROX outlets in Manila, Santa Rosa, Angeles, Baguio, Cebu, Bacolod, Cagayan de Oro and Davao City. Check out http://www.bloodredclothing.com for more designs! Do they have wetsuits available in Blood Red?